Yes, we have black widows here in Kelowna and the rest of the Okanagan and yes, they are one of the most dangerous pests that we deal with. In fact,. Yes, we have black widows here in Kelowna and the rest of the Okanagan and yes, they are one of the most dangerous pests that we deal with. In fact, they are 15 times more venomous than a rattlesnake, so they should not be taken lightly. I’ve been bitten by a black widow, what do I do? Step 5: Seek Medical Attention- Get someone to take you directly to the hospital. It is very important that you do not drive yourself. You may feel stable but the venom from the widow bite could change your condition quickly while driving. Step 6: Utilize Recommended Medication- Upon arrival to the hospital, they may give you an anti-venom. This is where the captured culprit will be analyzed. Follow the doctor's directions and you will be just fine. There you have it. The simple 6 steps that you need to follow if you have been bitten by the most venomous spider in North America. As we mentioned above, a black widow only transfers a small amount of venom when they bite a human, so it is very rare for a bite to be fatal on an adult- however you should never take your chances, especially if you have young children or pets around your home. They are much smaller than the average adult, so they are receiving a much higher does of relative venom if they are bitten. Perhaps you have been bitten by SOMETHING but you are not sure what inflicted the damage. You might suspect that a black widow was the offender but whatever took a taste of you fled the scene before you could properly identify it. When you live in a region with dangerous pests such as black widows and brown recluse spiders, you don’t want to take your chances. How Can I Tell If I Have Been Bitten By a Black Widow? Is there pain? A black widow bite will bring some pain to the victim. Typically the venom will cause the pain to spread from the location of the bite to systemic areas such as the back, chest or abdomen. 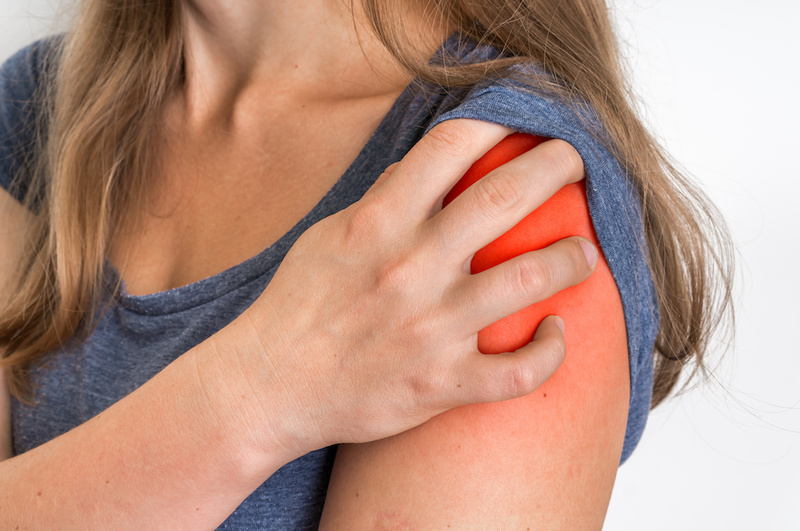 Recognize further symptoms- Black widow bites can cause a whole host of issues but common symptoms include cramping, excessive sweating, rashes, blisters, difficulty breathing, nausea, headache, elevated blood pressure and delirium. If you notice or experience any of these signs and symptoms, immediately follow BugMaster’s 6 simple steps that we outlined at the beginning of this article. When it comes to black widows, it’s better to be safe than sorry. 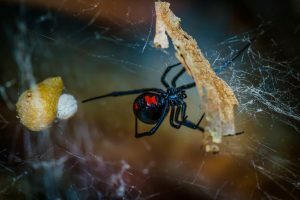 So what if you haven’t been bitten by a black widow but you have noticed a few around your home or business? You need to take action before you, or a loved one crosses paths with one of the venomous pests. Black widows are usually quite shy and will not actively seek out humans with the goal of biting them, but if you live in the same environment, chance encounters are bound to happen. Due to the fact that black widows are timid, they like to build their webs in dark and quiet locations. Be careful when cleaning areas like this around your home and don't let your garden grow too densely. Other effective methods to keep your home black widow free include firmly sealing all windows and doors, regular cleaning, reducing clutter, and turning off exterior lights when not in use as they attract other small insects which widows will feed on. If you encounter more than one black widow and discover egg sacs or complex web networks, it's time to call in the professionals. At BugMaster, our top priority is your safety and when it comes to a black widow infestation, you need to get rid of them fast. Contact our team and we will have all your spiders gone for good and you will never have to use our 6 simple steps! Had enough of Spiderman and his unwanted friends?? -> Click HERE to call in the reinforcements!